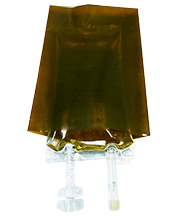 EPS amber IV bag covers 50 mL and 250 mL Practi-IV bags. EPS amber IV bag covers 500 mL and 1000 mL Practi-IV bags. Increase student confidence and competency during ampule handling and practice with these easy to use and safe ampule breakers. Increase student confidence and competency during ampule handling and practice with these easy to use and safe ampule breakers, designed to fit 10 mL Practi-Amps™. Increase student confidence and competency during ampule handling and practice with these easy to use and safe ampule breakers, designed to fit 3 mL and 5 mL Practi-Amps™. Arthur Harris Training Practi-Pack™ (2 Pack). Click through for Practi-Med Pack Content List Details. Arthur Harris Training Practi-Pack (4-Pack). Click through for Practi-Med Pack Content List Details. Becca Roberts Training Practi-Pack - 2-Pack - for clinical training. Click through for Practi-Med Pack Content List Details. Carl Rogers Training Practi-Pack - 2-Pack. Click through for Practi-Med Pack Content List Details. Carl Rogers Training Practi-Pack - 4 Pack. Click through for Practi-Med Pack Content List Details. Cooper Madison Training Practi-Pack - 2 Pack - for clinical training. Click through for Practi-Med Pack Content List Details. Cooper Madison Training Practi-Pack - 4-Pack - for clinical training. Click through for Practi-Med Pack Content List Details. EpiPen Trainer for clinical training will provide your students with safe, simulated practice with a preloaded auto-injector system. Actual size is 7" x 3" / Clearly visible in hospital corridors. Attaches magnetically to hospital door frames. Tells students where you are, instantly! SimChart Women's Scenario 21. Click Through For Content List. Mathias Hedding Training Practi-Pack™ (2-Pack). Click through for Practi-Med Pack Content List Details. Mathias Hedding Training Practi-Pack (4-Pack). Click through for Practi-Med Pack Content List Details. Matt Slattery Training Practi-Pack™ 2-Pack. Scenario 44, Matt Slattery, Hip Fracture, Pulmonary Embolism. SimChart Medical Scenario 44. Click Through For Content List. Melody Dixon Training Practi-Pack - 2-Pack - for clinical training. Click through for Practi-Med Pack Content List Details. Melody Dixon Training Practi-Pack - 4-Pack - for clinical training. Click through for Practi-Med Pack Content List Details. The Practi-1 mL Mini Amp, for clinical training, contains 1 mL of distilled water in a clear glass ampule. Practi-1 mL Mini Tint Amp, for clinical training, contains 1 mL of distilled water in an amber tinted glass ampule. Wallcur's Practi-1 mL Mini Tint Vial for clinical training contains 1 mL of distilled water. Teach small vial handling skills. Wallcur's Practi-1 mL Vial for clinical training contains 1 mL of distilled water. Teach small vial handling skills. Practi-10 mL Amp for clinical training, contains distilled water. Teach students to snap, aspirate, calculate, and measure dosages. Practi-10 mL Tint Vial, for clinical training, is an amber glass vial that perfectly simulates light-sensitive vials used in hospitals. Practi-10 mL Vial™ for clinical training. Teach vial handling, air replacement, dosage aspiration and needle withdrawal. Practi-100 mL Vial for clinical training. Teach the techniques of large vial handling, air replacement, and dosage aspiration. Practi-2 mL Amp™, for clinical training.Teach important ampule handling skills. Practi-2 mL Mini Tint Vial for clinical training. Provide realistic practice with this difficult to handle, light-sensitive vial. Practi-2 mL Mini Vial™ for clinical training. Provide skills training with this difficult to handle sized vial. Distilled water. Practi-20 mL Vial for clinical training. Teach the techniques of larger vial handling, air replacement, and dosage aspiration. Practi-3 mL Amp for clinical training. Contains distilled water. Teach students to snap, aspirate, calculate, and measure dosages. Practi-3 mL Mini Tint Vial, for clinical training, perfectly simulates light-sensitive vials often used in hospitals and clinics. Practi-30 mL Vial for clinical training. Teach the techniques of large vial handling, air replacement, and dosage aspiration. Practi-5 mL Amp for clinical training, contains distilled water. Teach students to snap, aspirate, calculate, and measure dosages. The Practi-5 mL Tint Vial, for clinical training, is an amber glass vial that perfectly simulates light-sensitive vials used in hospitals. Practi-5 mL Vial for clinical training. Teach sterile techniques of vial handling, air replacement, dosage aspiration, needle withdrawal. Practi-5% Dextrose 100 mL I.V. Bag, for clinical training, simulates in 5% Dextrose 50 mL. Practi-5% dextrose 50 mL I.V. Bag, for clinical training, simulates in 5% Dextrose 50 mL. Practi-50 mL Vial for clinical training. Teach the techniques of large vial handling, air replacement, and dosage aspiration. Practi-70/30 and Insulin Glargine Pack™ for clinical training, contains 20 Practi-70/30 vials and 20 Practi-Insulin Glargine vials. Practi-70/30 Insulin, for clinical training, contains 40 Practi-70/30™ vials. Teach the important insulin administration skills. Practi-75/25 and Regular Pack, for clinical training, contains 20 vials labeled Practi-75/25, and 20 vials labeled Practi-Regular Insulin. Practi-Acetaminophen 325 mg practice oral medication for clinical training. Simulates acetaminophen 325 mg tablets. Practi-Acetaminophen 650 mg oral medication for clinical training. Simulates acetaminophen 650 mg tablets. Teach a variety of skills. Practi-Activated Charcoal for clinical training simulates 25 g of activated charcoal. Teach the skill of reconstitution of a simulated poison absorption medication. Practi-Adenosine I.V. (6 mg/2 mL) in 2 mL pre-filled luer lock syringe is for clinical training only. Simulates adenosine, a code drug. Practi-Adenosine I.V. (12 mg/4 mL) in 4 mL pre-filled luer lock syringe is for clinical training only. Simulates adenosine, a code drug. Practi-Adenosine Peel-N-Stick Labels for clinical training. Adheres to Wallcur's 2 mL Practi Mini-Vial. Practi-Albuterol Sulfate™ 0.083% Nebules for clinical training. Teach the skills of albuterol sulfate inhalation with a nebulizer. Practi-Alteplase for clinical training, a tissue plasminogen activator is a protein involved in the breakdown of blood clot. 100 mL vial with white powder and 100 mL diluent vial for reconstition. Practi-Aminophylline™ Peel-N-Stick Label for clinical training. Adheres to Wallcur's 10 mL Practi-Vial. Practi-Amiodarone HCI Peel-N-Stick Labels for clinical training. Adheres to Wallcur's Practi-3 mL Mini Tint Vial™. Practi-Amiodarone 3 mL Amp for clinical training. Teach students the complex skills related to the use of a cardiovascular drug. Practi-Amoxicillin Clavulanate (Augmentin) for clinical training simulates 400 mg/5 mL of Amoxicillin Clavulanate. Teach the skill of reconstitution with this simulated antibiotic. Practi-Amoxicillin Oral Suspension for clinical training simulates 125 mg/5 mL of Amoxicillin. Teach the skill of reconstitution with Wallcur's new simulated oral medication. Practi-Amoxi for clinical training. Teach reconstitution, dosage calculation, and unit of measure conversion of a powdered oral med. Teach a variety of injection techniques using the Practi-Anatomical Templates™. Each interchangeable template overlays the surface of the Practi-Injecta-Pad® for quick visualization of the most commonly used injection sites. Easy to use Practi-Antibiotic™ Peel-N-Stick Labels for clinical training. Simulate five of the most commonly seen antibiotics. Practi-Aspirin 325 mg oral medication for clinical training. Simulates aspirin 325 mg tablets. Practi-Atorvastatin practice oral medication for clinical training. A tablet simulating atorvastatin (Lipitor®). Practi-Atropine I.V. (0.1 mg/mL) in 10 mL pre-filled luer lock syringe for training only. Simulates the code drug atropine sulfate. Practi-Azithromycin Peel-N-Stick Labels for clinical training. Simulates azithromycin. Adheres to Wallcur’s Practi-Powder Vial. Practi-Practi-Bacteriostatic Sodium Chloride 0.9% is a 9.24 m0smol/20 mL vial filled with distilled water and is safe for use with manikins. Practi-Practi-Bacteriostatic Sodium Chloride 0.9% is a 9.24 m0smol/30 mL vial filled with distilled water and is safe for use with manikins. Practi-Bacteriostatic Water 1 mL pre-filled syringe for training. Simulates bacteriostatic water. Practi-Benazepril™ practice oral medication for clinical training. A scored tablet simulating Lotensin. Practi-Bio Patch simulates the wound care BioPatch® protective disc. Practi-Bumetanide™ (4 mL) vial for clinical training. Tinted vials simulate 1 mg/4 mL of bumetanide. Practi-Bupivacaine (50 mL) vial for clinical training. 50 mL vials simulate 0.5% (5 mg/mL) of bupivacaine. Practi-Bupropion practice oral medication for clinical training. A round, blue tablet simulating Bupropion. Practi-Calcium Carbonate practice oral medication for clinical training. Simulates Calcium Carbonate 600 mg tablets. Practi-Calcium Chloride (10 mL) vial for clinical training. Clear 10 mL vials simulate Calcium Chloride 10% 100 mg/mL. Practi-Calcium Chloride I.V. 10% 10 mL pre-filled luer lock syringe is for clinical training only. Simulates calcium chloride. Practi-Calcium Gluconate (10 mL) vial for clinical training. Clear 10 mL vials simulate Calcium Gluconate 10% 100 mg/mL. Practi-Calcul8 is our newest exclusive CD to help educators design, teach, and test dosage calculations. The addition of Practi-Mini-Ampule labels, simulate eight currently prescribed drug labels. Practi-Caplet practice oral medication for clinical training. Now in bulk jars. Teach pharmacy students proper medication dispensing. Practi-Capsule practice oral medication for clinical training. Now in bulk jars. Teach pharmacy students proper medication dispensing. Practi-Carboprost 250 mcg/mL in a 1 mL ampule, for clinical training, simulates the drug Carboprost. Practi-Cefazolin Labels for clinical training simulates the commonly seen antibiotic Ancef. Adheres to Wallcur’s Practi-Powder Vials. Practi-Ceftriaxone 1 g Peel-N-Stick Labels for clinical training. Adheres to Wallcur’s Practi-Powder Vial. Practi-Ceftriaxone Peel-N-Stick Label for clinical training. Adheres to Wallcur’s Practi-Powder Vial. Practi-Ceftriaxone Peel-N-Stick Labels for clinical training. Adheres to Wallcur’s Practi-Powder Vial. Practi-Cephalexin practice oral medication for clinical training. A capsule simulating a cephalosporin antibiotic. Practi-Chewable Aspirin (81 mg) oral medication for clinical training. Simulates aspirin 325 mg tablets. Practi-Crash Code Pack™, for clinical training, teach students the skills associated with administering emergency crash cart IV solutions. Practi-Crash Code 9-Pack™ for clinical training. Prepare your students for administering emergency crash cart IV solutions. Practi-Dexamethasone Peel-N-Stick Labels. Adheres to Wallcur's 2 mL Practi-Mini Tint Vial™. Practi-Dextrose Half Normal Saline 1000 mL I.V. Solution Bag, for clinical training, simulates dextrose 5% in half normal saline. NOT FOR HUMAN/ANIMAL USE. TRAINING PURPOSES ONLY. Practi-Dextrose Lactated Ringer's Metoclopramide 1000 mL IV Solution Bag for clinical training only. Practi-Dextrose Lactated Ringer's 1000 mL IV Solution Bag, for clinical training simulates IV bag of dextrose 5% in Lactated Ringer's solution. Practi-Dextrose Normal Saline 1000 mL I.V. Solution Bag, for clinical training, simulates dextrose 5% in normal saline. Practi-Dextrose Normal Saline 250 mL I.V. Solution Bag, for clinical training, simulates dextrose 5% in normal saline. Practi-Dextrose Normal Saline 500 mL I.V. Solution Bag, for clinical training, simulates dextrose 5% in normal saline. Practi-Dextrose Potassium Chloride Metoclopramide 1000 mL IV Solution Bag, for clinical training only. Practi-Dextrose I.V. 50% 50 mL pre-filled luer lock syringe, for clinical training only. Simulates the glucose restoring agent, dextrose. Practi-Diazepam for clinical training. 10 mL amber glass vial labeled 5 mg/mL, simulating the light-sensitive drug diazepam (Valium®). Practi-Diazepam practice oral medication for clinical training. A round, scored, yellow tablet simulating Diazepam. Practi-Digoxin for clinical training, contains distilled water. Teach critical thinking skills associated with the drug digoxin. Practi-Digoxin practice oral medication for clinical training. A, round, white, scored tablet simulating digoxin. Practi-Diltiazem™ (5 mL) vial for clinical training. Clear vials simulate 25 mg/5 mL of diltiazem (Cardizem®). Practi-Diltiazem practice oral medication for clinical training. A capsule simulating the drug Diltiazem. Practi-Diphenhydramine™ vial for clinical training. Simulates the commonly ordered antihistamine Benadryl®. Practi-Dipyridamole practice oral medication for clinical training. A red tablet simulating Dipyridamole. Practi-Docusate practice oral medication for clinical training. A red tablet simulating docusate. Teach a variety of skills. Practi-Dopamine HCI 5 mL Peel-N-Stick Label, for clinical training, simulates dopamine HCI. Adheres to any Wallcur 5 mL vial. Wallcur® Practi-Dopamine™ 10 mL Peel-N-Stick Label for clinical training. Adheres to Wallcur's 10 mL Practi-Vial™. Practi-Ear Dropper™ for clinical training. Unsterile containers shipped ready to fill with your choice of manikin-safe solution. Practi-Enoxaparin teaches your students the skills associated with administering the anticoagulant, Enoxaparin. Practi-Epinephrine™ for clinical training simulates 1 mg/mL of epinephrine in a 1 mL vial. Practi-Epinephrine I.V. 1:10,000 1 mg (0.1 mg/mL) 10 mL pre-filled luer lock syringe is for training only. Simulates code med epinephrine. Practi-Epinephrine™ Peel and Stick Label, for clinical training, simulates epinephrine. Adheres to Wallcur 1 mL Practi-Mini-Ampules™. Practi-Ergonovine for clinical training. Simulates the drug ergonovine (Ergotrate®). Labeled 0.2 mg/mL in 1 mL vial. Practi-Etomidate (2 mg/mL) for clinical training simulates Etomidate 40 mg/20 mL. Teach skills to EMT, EMS, and Paramedic students. Practi-Fentanyl Patch™ transdermal medication delivery for clinical training. Simulates Duragesic or other fentanyl infused patches. Practi-Fentanyl 5 mL Amps for clinical training simulates 250 mcg/5 mL (50 mcg/mL) (0.05 mg/mL) of the synthetic opioid analgesic, Fentanyl. Practi-Flumazenil™ 10 mL Peel-N-Stick Label for clinical training. Adheres to Wallcur's 10 mL Practi-Vial. Practi-Fresh Frozen Plasma Bags (O-) for clinical training. Simulates 450 mL O negative Fresh Frozen Plasma. Practi-Furosemide™ practice oral medication for clinical training. A round, white tablet simulating furosemide (Lasix). Practi-Furosemide Peel-N-Stick Labels for clinical training. Adheres to Wallcur's Practi-2 mL Mini Tint Vial. Practi-Furosemide 4 mL Peel-N-Stick Label, for clinical training, is designed to simulate the real drug, Lasix. Practi-Glucagon Kit for clinical training. Teach reconstitution and proper injection for low blood sugar or hypoglycemic patients. Practi-Glucagon Powder Vial Refills for clinical training (for use with Wallcur Practi-Glucagon Kit). Teach reconstitution and proper injection for low blood sugar or hypoglycemic patients. Practi-GO FIGURE™ is an exclusive CD to help educators integrate the teaching and testing of dosage calculations. Practi-Half Normal Saline 1000 mL IV Solution Bag, for clinical training, simulates 1000 mL IV bag of half normal saline. Practi-Haloperidol™, for clinical training, simulates light-sensitive haloperidol (Haldol®). 1 mL glass vial labeled 5 mg/mL. Practi-Heparin 1,000™ Peel-N-Stick 1,000 U/mL Labels for clinical training. Apply these labels to Wallcur's Practi-2 mL Mini Vial. Practi-Heparin Lock Flush 100™ Peel-N-Stick Labels for clinical training. You can easily apply these labels to any Wallcur 10 mL vial. Practi-Heparin Lock Flush 10™ Peel-N-Stick Labels for clinical training. You can easily apply these labels to any Wallcur 10 mL vial. Wallcur's Practi-Heparin Teaching Module™ promotes experience, assessment, and application through critical thinking. This module includes student objectives, patient case studies, clinical calculation questions, physician's orders, and more. Practi-Heparin Training Pack for training. Contains twenty 5 mL vials labeled 50,000 USP/5 mL (10,000 units/mL) and twenty 10 mL vials labeled 10,000 USP/10 mL (1,000 units/mL). Practi-Heparin™ 10,000 USP/10 mL (1,000 Units/mL) Vial for clinical training, simulating those found in clinical use today. Practi-Heparin™ 50,000 USP/5 mL (10,000 U/mL) for clinical training. Teach dosage calculations, measurement, and administration, safely, with Practi-Heparin. Practi-Hepatitis B Vaccine™ for clinical training. Teach skills necessary to calculate, measure, and administer single dose vaccines. Practi-Humln Insulin Pack™, for clinical training, contains 20 vials labeled Practi-Humln R™ and 20 vials labeled Practi-Humln N™. Practi-Hydrocodone and Acetaminophen 5 mg/500 mg oral medication for clinical training. Simulates hydrocodone 5 mg/acetaminophen 500 mg.
Practi-Hydromorphone 2 mg/mL, for clinical training, comes in a clear 1 mL vial containing distilled water. Teach a variety of skills. Practi-Hydromorphone™ Peel-N-Stick Label for clinical training simulates hydromorphone HCl (Dilaudid). Practi-Ibuprofen™ 800 mg oral medication for clinical training. Simulates 800 mg of Ibuprofen (Advil®, Motrin IB®) tablets. Practi-Influenza Vaccine 5 mL Peel-N-Stick Label, for clinical training, simulates an influenza vaccine. Adheres to any Wallcur 5 mL vial. Practi-Inhaler™ is the only inhaler available with just an aerosol propellant developed specifically for clinical training. An educator favorite, our patented Practi-Injecta Pads® 7" x 7" x 2½" give your students the feeling of a "live" injection, with perfect simulation of skin puncture resistance, tissue displacement and aspiration tension. Practi-Inslin Glargine for clinical training, contains 40 vials labeled Practi-Insulin Glargine™. Teach insulin injection techniques. Practi-Insulin Lispro (Humalog) Insulin for clinical training. Contains 40 Practi-Insulin Lispro 10 mL vials simulating Humalog® (lispro) 100 units/mL. Practi-Insulin Pen Trainer 3 mL (100 units/mL) for clinical training will provide your students with safe, simulated practice with a preloaded insulin auto-injector system. Practi-Insulin Starter Pack™ for clinical training. Teach insulin dosage calculation, combining/mixing and administration skills. Practi-Insulin Training Pack, for clinical training, includes 20 vials labeled Practi-Regular Insulin™ and 20 labeled Practi-NPH Insulin™. Practi-Insulin Variety Pack, for clinical training, contains 40 vials total simulating FOUR different commonly ordered insulin medications. Practi-Intranasal Naloxone Training Pack pre-filled luer lock syringe and nasal atomizer is for clinical training only. Practi-Ipratropium 18 mcg/puff inhaler for clinical training. Simulates ipratropium (Combivent). Contains only propellant. Practi-Ipratropium Nebules™ for clinical training. Teach the skills of ipratropium bromide inhalation with a nebulizer. Practi-Isoproterenol™ Peel-N-Stick Label, for clinical training simulates 1 mL of isoproterenol (Isuprel) for Practi-1 mL Mini Ampules. Blank Practi-IV Solution Bag Labels are for training only and to be used ONLY with Wallcur Practi-Products. Practi-Ketamine (10 mL) vial for clinical training simulate Ketamine 500 mg/10 mL (50 mg/mL). Practi-Lactated Ringer's 1000 mL IV Solution Bag, for clinical training, simulates 1000 mL IV bag of Lactated Ringer's solution. Practi-Levmr Peel-N-Stick Label for clinical training. Adheres to Wallcur's 10 mL Practi-Regular Insulin Vials. Practi-Lidocaine hydrochloride 2% (100 mg/5mL) 5 mL pre-filled luer lock syringe is for training. Simulates lidocaine hydrochloride. Practi-Lorazepam™ for clinical training simulates 2 mg/mL of Lorazepam in a 1 mL vial. Practi-Mag Sulfate Peel and Stick Label™ for clinical training. Simulates magnesium sulfate. Practi-Math CD 3-Pack. Designed to accompany our Practi-Product line for nursing skills, medical assisting, pharmacy tech, paramedic, medical corp training and more. Practi-Teaching Module CD’s build mathematical and critical thinking skills. Practi-Meds Long-Term Care Cards for clinical training. Teach skills related to administering oral meds to the chronic long-term patient. Practi-Methylergonovine™ Peel-N-Stick Labels (for training) simulates Methylergonovine. Adheres to Wallcur 1mL Practi-Mini-Ampules™. Practi-Methylprednisolone™ for clinical training simulates 125 mg/mL of Methylprednisolone (Solu-Medrol) containing a white powder that dissolves in water. Practi-Metoclopramide for clinical training. Simulates the drug metoclopramide (Reglan®) 10 mg/2 mL and comes in a clear 2 mL vial. Practi-Midazolam HCI Peel-N-Stick 5 mL Labels, for clinical training, designed to simulate the real drug, Versed® (midazolam). Practi-Midazolam™, for clinical training, simulates light-sensitive midazolam (Versed®). 2 mL glass vial labeled 10 mg/2 mL. The Practi-Mini Anatomical Template simulates the most commonly used injection sites. Each 5" x 5" template overlays the surface area of the Practi-Mini Injecta Pad™ allowing quick visualization and realistic needle placement. Practi-Mini Injecta Pad™ is 5" x 5" x 2½" for multiple needle lengths. Just like the original Practi-Injecta Pad, the MINI will provide excellent hands on simulation practice for students needing to master injection techniques. New from Wallcur. Practi-Mini Math™ is an exclusive CD to help educators integrate the teaching and testing of dosage calculations. Practi-Morphine Sulfate 1 mg/mL for clinical training simulates 2 mg/2 mL of morphine sulfate. Teach the critical skills of morphine sulfate drug calculation and administration. Practi-Morphine Sulfate 2 mg/mL for clinical training simulates 4 mg/2 mL of morphine sulfate. Teach students the critical skills of morphine sulfate drug calculation. Practi-Morphine™ 1 mL Peel-N-Stick Label, for clinical training, was created to simulate morphine sulfate. Practi-Multivitamin practice oral medication for clinical training. A capsule simulating a multivitamin w/ iron. Practi-MVI Adult Dual Pack™ (Multi-Vitamin Infusion) Vials for clinical training. Simulate Multivitamin dual packs. Practi-Nabumetone practice oral medication for clinical training. A tablet simulating nabumetone (Relafen®). Practi-Naloxone HCI for clinical training simulates 0.4 mg/1 mL of naloxone hydrochloride. 1 mL vial contains distilled water. Teach opioid antagonist drug calculation skills. Practi-Naloxone I.V. (1 mg/mL) 2 mg per 2 mL pre-filled luer lock syringe is for clinical training only. Simulates an opioid antagonist drug. Practi-Naloxone Peel-N-Stick Label, for clinical training, simulates Naloxone. Easy peel and stick to our 1 mL Practi-Mini-Ampules. Practi-Nasal Med Trainer simulates nasal medication administration. For the administration of medications such as the opioid antagonist drug, Narcan®, as well as many other intranasal medications. Practi-Nasal Spray™ for clinical training. Demonstrate proper nasal spray inhalation techniques with Wallcur's new task trainer. Practi-Nitroglycerin Ointment™ simulates a 30 gram 2% nitroglycerin ointment for clinical training. Safely teach your students the proper application of a nitroglycerin ointment. Practi-Nitroglycerin Patch for clinical training. Teach the critical skills of a common transdermal medication delivery system. Practi-Nitroglycerin Spray for training. Simulates nitroglycerin sublingual delivery pump. Teach medication administration skills. Practi-Nitroglycerin™ 10 mL Peel-N-Stick Label for clinical training. Adheres to Wallcur's 10 mL Practi-Vial™ or 10 mL Practi-Tint Vial™. Practi-Nitroglycerin™ oral med for clinical training. Teach the proper administration and dosing of a common vasodilating drug. Practi-Norepinephrine™ (4 mL) vial for clinical training. 5 mL tinted vials simulate 4 mg/4 mL of norepinephrine (Levophed). Practi-NPH Insulin™ for clinical training. Teaching insulin preparation and injection made realistic and safe. Practi-Nubane™ 10 mL Peel-N-Stick Label for clinical training. Adheres to Wallcur's 10 mL Practi-Vial. Practi-Ondansetron for clinical training. Simulates ondsansetron (Zofran®) labeled 4 mg/2 mL (2 mg/mL) Single Dose Vial. Practi-Ophthalmic Ointment™ (3.5 g) for clinical training. Simulates ophthalmic ointment for adults or pediatrics. Practi-Optic Dropper™ for clinical training. Unsterile containers are shipped ready to fill with your choice of manikin-safe solution. Practi-Oral Med Pack, for clinical training, contains 48 unit doses of twenty differently labeled tablets and capsules. Practi-Oxycodone & Acetaminophen practice oral medication for clinical training. A round tablet simulating Oxycodone & Acetaminophen. Practi-Oxytocin Lactated Ringer's 1000 mL IV Solution Bag, for clinical training, simulates Lactated Ringer's solution w/20 units of oxytocin. NOT FOR HUMAN OR ANIMAL USE. TRAINING PURPOSES ONLY. Practi-Phenylephrine Peel-N-Stick Labels, for clinical training, simulate phenylephrine. Adheres to any Wallcur 1 mL vial. Blank Practi-IVPB Piggy Back Labels are for clinical training only and to be used only with Practi-Products. Just label, peel and stick! Practi-Potassium Chloride practice oral medication for clinical training. A tablet simulating potassium chloride (Micro-K®). Prepared exclusively by educators to promote student-hands-on experience, assessment and application through critical thinking. The Practi-Powder Teaching Module includes principles and methods for antibiotic reconstitution, case studies, and more. Practi-Prednisone practice oral medication for clinical training. A round, scored tablet simulating prednisone. Practi-Prefilled Diluent Syringe 1mL™ Refills for Practi-Glucagon Kit is a prefilled needled distilled water syringe for training and use with Wallcur's simulated Practi-Glucagon Kit. Practi-Prilo practice oral medication for clinical training. A large capsule simulating Prilosec®. Practi-ProAyer Inhaler practice inhaler for clinical training. Our hand held metered dose inhaler comes labeled to simulate albuterol. Practi-Procainamide™ 10 mL Peel-N-Stick Label for clinical training. Adheres to Wallcur's 10 mL Practi-Vial. Practi-Promethazine HCl for clinical training. Tinted vial simulating 50 mg/2 mL of promethazine (Phenergan®). Practi-Promethazine Peel-N-Stick Label for clinical training, simulates Promethazine. Adheres to our 1 mL Practi-Mini-Ampules™. Practi-Profofol™ 1000 mg/100 mL vial for clinical training. Teach your students the skills of large vial handling. Practi-Propranolol™ Peel-N-Stick Label, for clinical training, simulates Inderal. Peel and stick to Wallcur 1 mL Practi-Mini-Ampules™. Practi-Reglin Peel-N-Stick Labels for clinical training. Adheres to Wallcur's Practi-Mini Tint Vial™. This pack contains only “R” Regular Practi-Insulin Vials™ for clinical training. Teach dosage calculation for Regular insulin. Practi-Salbutamol™ 2.5mg/3mL Nebules for clinical training. Teach the skills of albuterol sulfate inhalation with a nebulizer. Practi-Saline Flush™ 10 mL pre-filled syringe. Practice with the most common standard IV flush. Pre-filled with 10 mL of distilled water. Practi-Saline Flush™ 3 mL pre-filled syringe. Manikin and simulator safe practice that accepts liquid injections. Practi-Scored Caplet oral medication for clinical training. Now in bulk jars. Teach pharmacy students proper medication dispensing. Practi-SimSkin consists of an epidermis, dermis & subcutaneous layer and behaves and feels like real skin. Designed to teach intradermal injection skills and handcrafted to produce a “bleb” or “wheal” with either liquid or air injections. 3" x 3". Practi-SimSkin consists of an epidermis, dermis & subcutaneous layer and behaves and feels like real skin. Designed to teach intradermal injection skills and handcrafted to produce a “bleb” or “wheal” with either liquid or air injections. 3" x 5". Practi-Simulated Blood for clinical training. Simulated blood for use in a variety of training scenarios. Practi-Sodium Bicarbonate™ I.V. 8.4% (84 mg/mL) 50 mL pre-filled luer lock syringe for training. Simulates the code drug sodium bicarbonate. NOT FOR HUMAN / ANIMAL USE. FOR TRAINING PURPOSES ONLY. Practi-Sodium Chloride 0.9% Vial™ for clinical training. Teach vial handling, air replacement, dosage aspiration and needle withdrawal. Wallcur's Practi-Sodium Chloride 0.9% for clinical training contains 2 mL of distilled water. Teach small vial handling skills. Practi-Sodium Chloride 100 mL I.V. Solution Bag, for clinical training, simulates 0.9% sodium chloride. Practi-Sodium Chloride 1000 mL I.V. Solution Bag for clinical training. Practi-Sodium Chloride 250 mL IV Solution Bag for clinical training. Practi-Sodium Chloride 50 mL Solution Bag for clinical training contains distilled water. Practi-Sodium Chloride 500 mL IV Solution Bag for clinical training. Practi-Sodium Phosphates™ (5 mL) Vial for clinical training. Clear vials simulate Sodium Phosphates (15mM phosphates and 20mEq sodium. Practi-Succinylcholine™ for clinical training.Teach the complex skills related to the management of artificial respiration. Practi-Super CD 12-Pack. The nine Practi-Teaching Module CD’s build mathematical and critical thinking skills and the three math CD's contain hundreds of mathematical Q&A's to challenge your students and save your time. Practi-Suppositories™ for clinical training. Simulates glycerin suppositories. Practi-Suture/Staple Removal Pad is for clinical training only. Teach the proper method for removing sutures and staples safely. Practi-Tablet practice oral medication for clinical training. Now in bulk jars. Teach pharmacy students proper medication dispensing. Practi-Tegretal practice oral medication for clinical training. An accurate simulation of Tegretol® the pediatric anticovulsant. Practi-Temazepam practice oral medication for clinical training. A capsule simulating Temazepam (Restoril®). The Wallcur® Practi-Thiamine HCI 2 mL Peel-N-Stick Label, for clinical training, is designed to simulate thiamine. Practi-Toradl Peel & Stick Labels™ for clinical training. Adheres to Wallcur's Practi-Mini Tint Vial™. Practi-TPN Bag with Lipids (1000 mL) for clinical training.Teach Total Parenteral Nutrition (TPN) with Lipids administration. Practi-TPN Bag with Vitamins (1000 mL) for clinical training.Teach your students Total Parenteral Nutrition (TPN) with vitamins. To promote student hands-on experience, assessment and application through critical thinking. The Practi-Tuberculin PPD Module includes a step-by-step guide for administering intradermal PPD injections, dosage calculations, Q&A's, and more. Practi-Tuberculin PPD™, for clinical training, is an excellent practice product for students to master intradermal injection skills. Practi-Valum™ Peel & Stick Labels for clinical training. Adheres to Wallcur's 2 mL Practi-Mini Tint Vial™. Practi-Vancomycin 50 mL IV piggyback bag, for clinical training, simulates Vancomycin 1 g in 50 mL normal saline. Practi-Vasopressin 1 mL Peel & Stick Labels for clinical training. Adheres to Wallcur's 1 mL Practi-Mini Vial. Practi-Vasopressin™ 10 mL Peel and Stick Label, for clinical training, simulates vasopressin. Adheres to Wallcur's 10 mL Practi-Vial. Pract-Verapamil Peel-N-Stick Label, for clinical training, simulates verapamil hydrochloride. Use with Wallcur 2 mL Practi-Mini Vial™. Practi-Vitamin K™ Peel and Stick Label for clinical training, simulates Vitamin K. Labels adhere to our Practi-1 mL Mini-Tint Ampules™. Practi-Warfarin practice oral medication for clinical training. A round, scored tablet simulating warfarin (Coumadin). Ricky Alvarez Training Practi-Pack - 2-Pack - for clinical training. Click through for Practi-Med Pack Content List Details. Ricky Alvarez Training Practi-Pack - 4-Pack - for clinical training. Click through for Practi-Med Pack Content List Details. Wallace Peterson Training Practi-Pack 2 Pack. Wallace Peterson Training Practi-Pack 4-Pack - for clinical training. Click through for Practi-Med Pack Content List Details.